We’re excited to share some beautiful linen inspiration boards to help bring your ideas to life and show you how a little bit of color with your linens can make a huge difference in your reception decor. What’s more romantic than blush pink? 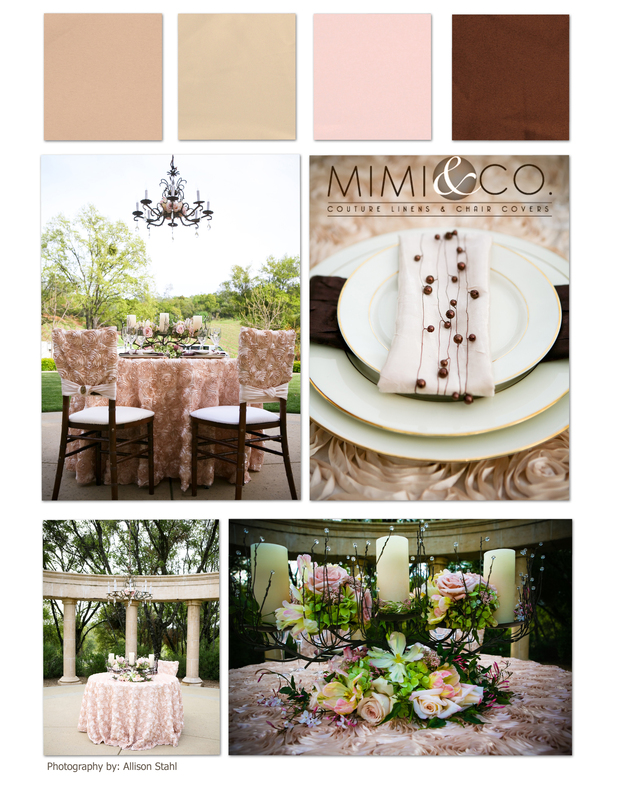 Paired with chocolate brown, this look has a rustic-earthy feel, but also elegance! 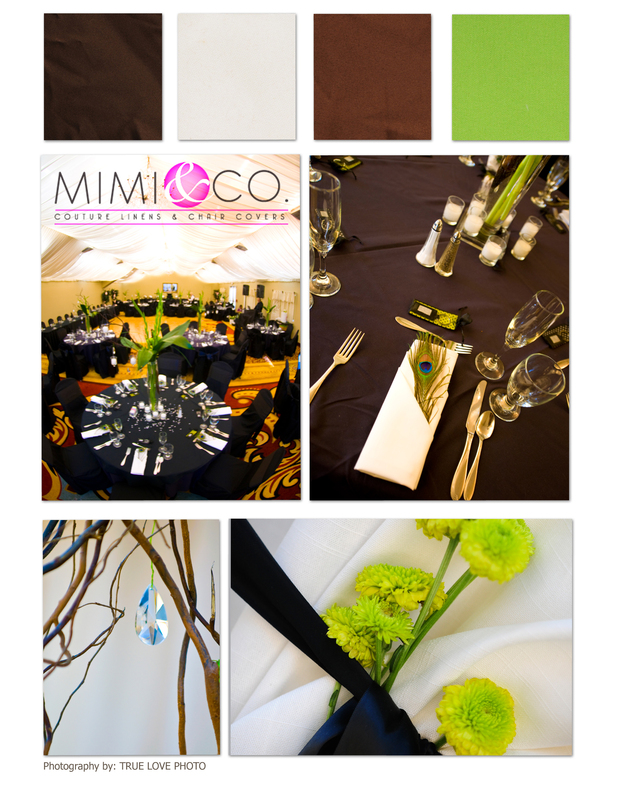 Our textured rosette linens add texture to any table, or chair! 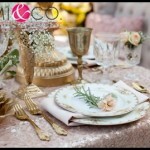 Paired with mahogany chivari chairs and a brown napkin, the details are all tied together! 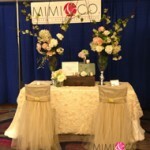 Whether you are having an outdoor wedding, or your venue has natural wood tones, this look is perfect indoors or out! Maybe you are a more classic bride? 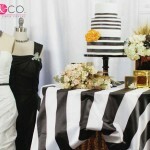 Black and white can be stunning, especially when accented with a print! 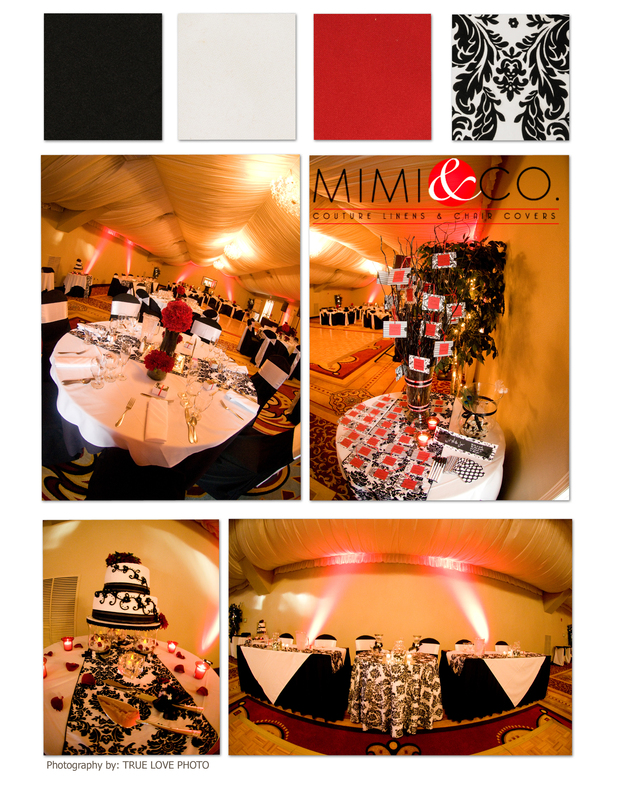 Here, we have shown white & black linens with our filigree patterned linen to break up the solids. 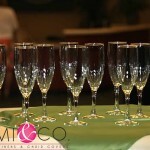 Add in red, hot pink, or green as your ‘pops’ of color, and you’ve got a statement going! If you are looking for a bold statement, we love this high contrast look! 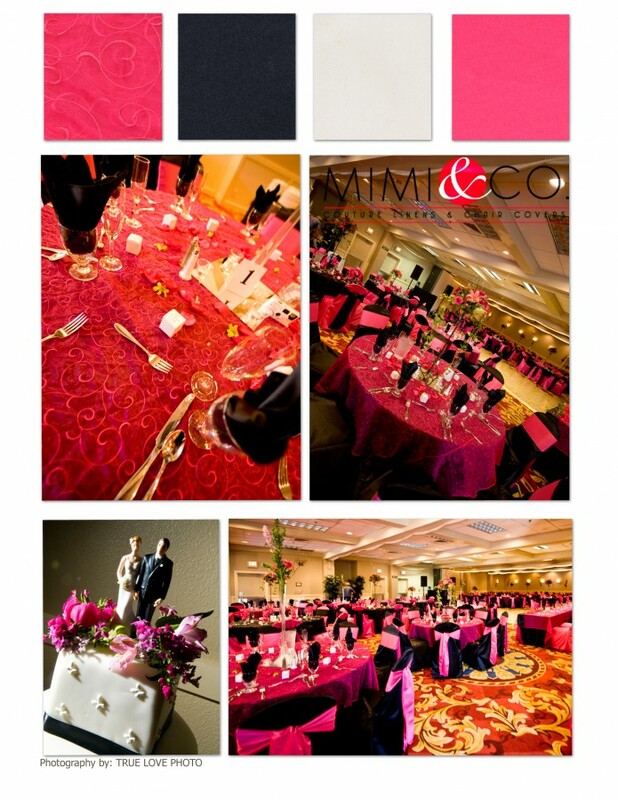 Black chair covers with hot pink sashes paired with a black linen and our hot pink Enchanted swirl overlays creates a ‘pop’ of color to any space. What’s your favorite look? Are you more of a romantic bride or a bold bride?